Dr. Alexander Schreiner attended Semmelweis University in Budapest in the year 1977. He had already specialized in oral and dental diseases in 1980. He worked in a military hospital between 1980 and 1981. After that followed a position in a private clinic from 1979 until 1985. Later, he started his own private practice in Frankfurt. He has successfully run his own dental clinic, Sanco Dental, in Budapest since 1998. Dr. Alexander Schreiner has carried out implantological treatments in his practice since 1990. Camlog, Cortex, Straumann, Nobel Biocare, Phoenix, and IHDE are all part of his spectrum of treatments. Furthermore, Dr. Schreiner has specialized in various bone reconstructions and in dental aesthetics. He places great value on further education and always participates in advanced training courses in various countries in Europe. He speaks English, German, and Russian fluently. Dr. Bernhard Stocker completed his degree at Semmelweis University in Budapest in 2005. He later completed his dental medicine degree in July 2010 and his medical degree in July 2014. He spent a year and a half as an intern in the dental laboratory of the Heinz Kreil dental practice in Rotthalmünster, Germany, and one month at the Clinic and Policlinic for Oral, Dental, and Facial Surgery at the University Clinic of Hamburg-Eppendorf. He speaks English, German, and French. 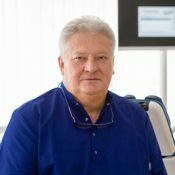 Dr. Ferenc K. Oberna: he attended Semmelweis University in Budapest in the year 1988 and the School of Dental Sciences in 1991, which he successfully completed. He completed his Ph.D. at Semmelweis University in Budapest in 2009. He worked at the Bács-Kiskun County Hospital in the Center for Facial Reconstructive Surgery. After that, he worked at the St. Rokus Hospital in the Jaw and Facial Surgery department. He then opened his own private practice. He is also currently the leader of the Oral and Jaw ENT department at the Head and Neck Surgery in Kecskemét. He is also vice president of the Hungarian Society for Jaw and Facial Surgery. He speaks English and German. Dr. Stefan Bacso completed his university degree in Heidelberg in the year 1988. He worked at the Clinic of Limburgerhof from 1988–1991. Following this, he worked at the military hospital in Koblenz in 1991. He received further training in various fields of dental medicine between 1991 and 1992. Dr. Bacso has run his own practice in Mannheim-Feudenheim, Germany since 1993. 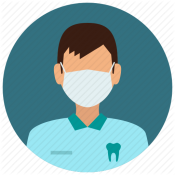 He specialized in implantology, aesthetic dental medicine, and gnathology. He speaks English, German, and Hungarian.